(c) send to you marketing communications relating to our business (or the businesses of carefully-selected third parties) which we think may be of interest to you by post or, where you have specifically agreed to this, by email or similar technology (you can inform us at any time if you no longer require marketing communications to be sent by calling us at (913) 432-7676. Our website is owned and operated by Brill Eye Center, L.L.C. For more information about Brill, please visit our company’s website. Per KHIE Policies and Procedures 02: Patient Notice and Restrictions on Access, “A Participant that is required under 45 C.F. R. 164.520 to maintain a Notice of Privacy Practices (“NPP”) shall revise the NPP provided in the State of Kansas at least thirty (30) days prior to the Participants “go live” date with an approved HIO to include a provision substantially similar to the notice” below. As explained above, health care providers and health plans may use and disclose your health information without your written authorization for purposes of treatment, payment, and health care operations. Until now, providers and health plans have exchanged this information directly by hand-delivery, mail, facsimile, or e-mail. This process is time consuming, expensive, not secure, and often unreliable. Electronic health information exchange, or HIE, changes this process. New technology allows a provider or a health plan to submit a single request through a health information organization, or HIO, to obtain electronic records for a specific patient from other HIE participants. An organization known as the Kansas Health Information Exchange, or KHIE, regulates HIOs operating in Kansas. Only properly authorized individuals may access information through an HIO operating in Kansas, and only for purposes of treatment, payment, or health care operations. Under Kansas law, you have the right to decide whether providers and health plans can access your health information through an HIO. You have two choices. 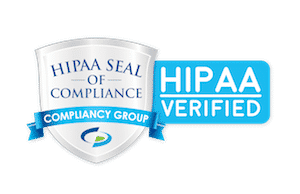 First, you can permit authorized individuals to access your electronic health information through an HIO for treatment, payment, or health care operations only. If you choose this option, you do not have to do anything. Second, you can restrict access to all of your electronic health information through any HIO operating in Kansas with the exception of access by properly authorized individuals as needed to report specific information as required by law (for example, reporting of certain communicable diseases or suspected incidents of abuse). If you wish to restrict access, you must complete and submit the required form to KHIE. You must provide specific information needed to put your requested restrictions in place. The form is available at http://www.khie.org. You cannot request restrictions on access to certain information and permit access to all other information; your choice is to permit access to all of your information or restrict access to all of your information. For your protection, each request is subject to verification procedures which may take several days to complete. Your failure to provide all information on the required form may result in additional delay. Once your request has been processed, your electronic health information no longer will be available through HIOs operating in Kansas except for mandatory reporting requirements. You may change your mind at any time and permit access by submitting another request to KHIE. Please understand your decision to restrict access to your electronic health information through an HIO will limit your health care providers’ ability to provide the most effective care for you. By submitting a request for restrictions, you accept the risks associated with that decision. If you have questions regarding electronic health information exchange or HIOs, please visit http://www.khie.org for additional information. Your decision to restrict access to your electronic health information through an HIO does not impact other disclosures of your health information. Providers and health plans may continue to share your information directly through other means (such as by facsimile or secure e-mail) without your specific written authorization.